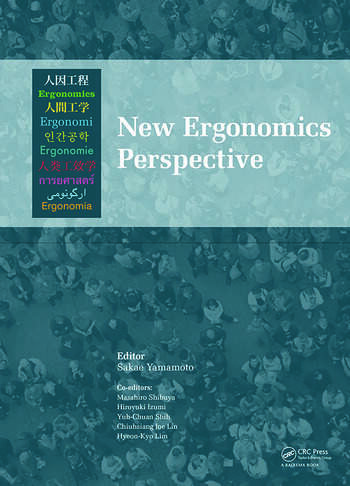 New Ergonomics Perspective represents a selection of the papers presented at the 10th Pan-Pacifi c Conference on Ergonomics (PPCOE), held in Tokyo, Japan, August 25-28, 2014. The first Pan-Pacific Conference on Occupational Ergonomics was held in 1990 at the University of Occupational and Environmental Health, Japan. The main theme of the PPCOE 1990 was “Searching for Solutions to Occupational Problems.” The successful meetings have taken place in 1990 (Kitakyushu, Japan), 1992 (Wuhan, China), 1994 (Seoul, Korea), 1996 (Taipei, Taiwan), 1998 (Kitakyushu, Japan), 2001 (Beijing, China), 2004 (Cairns, Australia), 2007 (Bangkok, Thailand) and 2010 (Kaohsiung, Taiwan). After two decades of collective endeavors, the conferences have established globally recognized excellence in scientific and professional contributions. Now, PPCOE activities are entering a new stage after a quarter century of history. Fortunately, participants of the PPCOE Final in Tokyo are eager to take a first step on the road to its rebirth: the establishment of a new, mature PPCOE. PPCOE pursues ergonomics as a practical science, covering a broad spectrum of up-to-date and comprehensive ergonomics issues. This book was organized into six thematic chapters, including Aging and Occupational Safety, Workplace Ergonomics, Occupational Ergonomics, Healthcare and Special Populations, Human Computer Interaction and Current Issues and Ergonomics Approach.